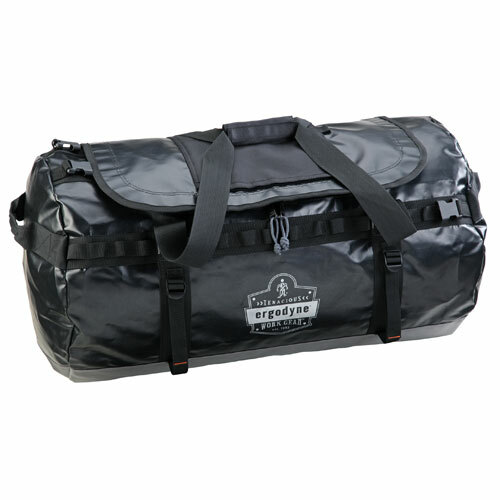 Weather-resistant, water-resistant duffel bag with maximum storage capacity. Made with water and cold resistant tarpaulin fabric that withstands mother nature's punch! Size large, two additional sizes available. While the attached image is not perfect, it does help to show some of the inside of the bag. 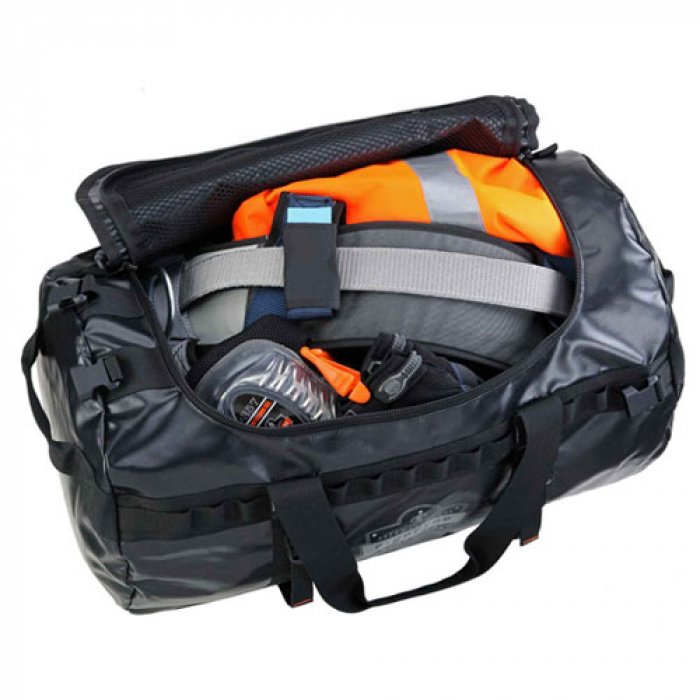 The video also helps to show the bag in its entirety.